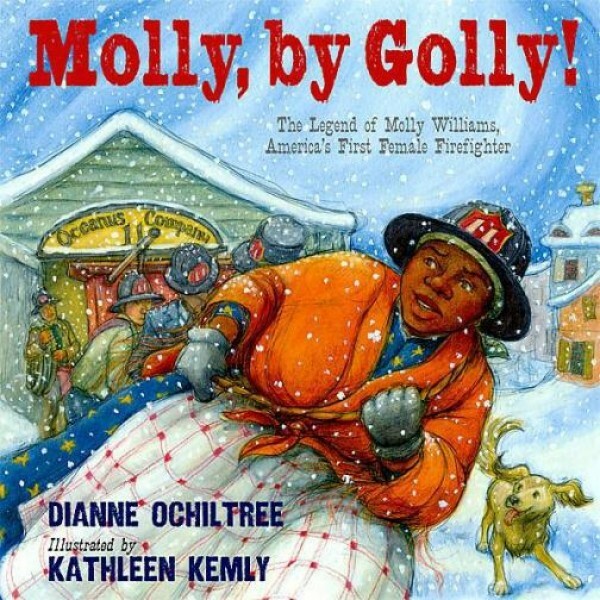 This legendary tale introduces young readers to Molly Williams, an African American cook for New York City's Fire Company 11, who is considered to be the first known female firefighter in U.S. history. One winter day in 1818, when many of the firefighting volunteers are sick with influenza and a small wooden house is ablaze, Molly jumps into action and helps stop the blaze, proudly earning the nickname Volunteer Number 11. Relying on historic records and pictures and working closely with firefighting experts, Dianne Ochiltree and artist Kathleen Kemly not only bring this spunky and little-known heroine to life but also show how fires were fought in early America. For more stories of trailblazing women from throughout history, visit A Mighty Girl's Biography section.